The governorship candidate of Peoples Democratic Party, PDP, for Lagos State, Mr. Jimi Agbaje, has promised to strengthen the Lagos State Traffic Management Authority (LASTMA) by arming operatives with technological gadgets, embark on massive road rehabilitation and create more neighbourhoods, all with a view to reducing citizens’ travel time. He also committed to generating an additional 1,000 megawatts to the Lagos electricity grid by the 18th month of coming into office, and increase it to 3,000 by the end of his first four-year tenure. Lamenting that the state currently ranked a poor 37th among the 38 mega-cities recognised worldwide, the PDP candidate wondered what the current dispensation had done with the about N7 trillion ($35 billion) at its disposal since inception. 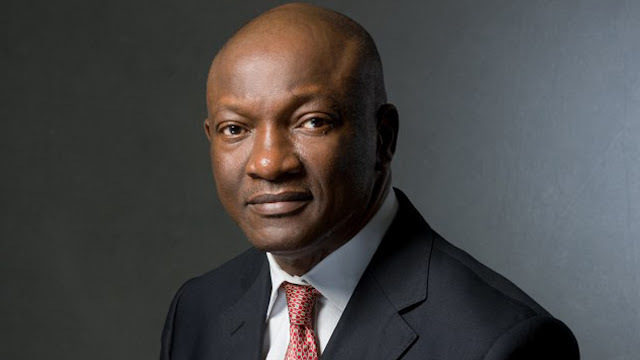 Agbaje spoke Wednesday at Eko Hotel during a meeting organised by the Lagos business community with the PDP Presidential Candidate, former Vice President Atiku Abubakar, and his Running Mate, Mr. Peter Obi. According to him, Lagosians spent much time in traffic and it had been observed that this could be controlled and curtailed through reordering the location of industries and facilities. He spoke of diversifying industrial sites through the states by opening up the Ikorodu-Epe axis as well as the Mile 2-Badagry axis, in order to spread prosperity to all corners of the state. Agbaje who spoke on, “Lagos as a Catalyst for National Economic Growth,” said the state needed an innovative paradigm shift that would entail: Ensuring greater efficiency, productivity and operating lower cost, job creation through growing and diversifying its economy, improving the climate for business and fiscal balance and sustainability. Lamenting the poor state of education in the state, Agbaje said his regime would focus on expanding access to high quality education. He promised to structure Lagos into a veritable ICT hub capable of attracting foreign investment through lowering the cost of internet access, as currently obtained in places like Madagascar. Agbaje said his administration would fashion out a feasible synergy with the private sector and local governments in order to improve Lagos State’s waste management.